The great product supplied by Yamaha together with the ability to supply parts and accessories has helped to make our business successful over the years. When we started Golf Car Associates 12 year ago (2006) we understood that the ability to provide a superior standard of service to fleet and individual owners would be one of the keys to success. Dean Webster (right) and Charles Stuart (left) own Golf Car Associates and they take great pride in the effort they make to provide a friendly and efficient service. You will often find both of them at the Golf Car Associates premises but you will almost always find one of them there during business hours. You will also find their office manager, Maureen, to be friendly and competent. 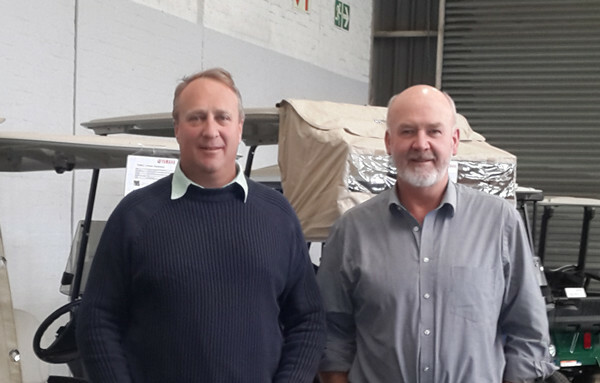 The technical manager at Golf Car Associates, Neil Smit, is highly regarded as perhaps the best golf car technician in the business. He has the experience and skill to diagnose and repair just about any problem that can arise on a golf car. He has developed an ever expanding team of technically competent individuals at Golf Car Associates. With their fleet of well stocked field service vehicles they can get to services or breakdowns in a relatively short time. 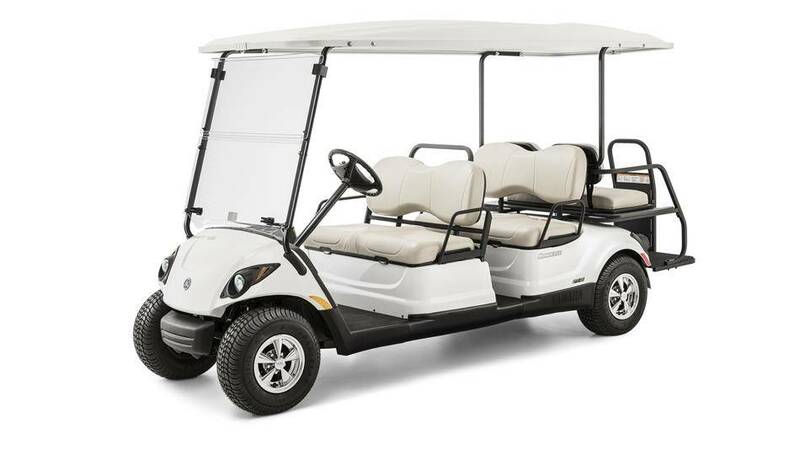 If you are reading this as a potential individual private owner of a Yamaha golf car, do not worry because we will look after you just as diligently as we look after the fleet owners. Please try us out and let us know what you think of our service levels. Golf Car Associates is continuously looking at ways to provide new services and products. For instance we produce the Yamaha mediCAR Golf Car Ambulance, as well as a specially fitted Mortuary Car to transport coffins. We also successfully supply Mining Industry Golf Cars that have been fitted with doors, fire extinguishers and other safety requirements to suit the demands of the mining industry. For hotels, B&Bs, reserves and other hospitality businesses, landscaping and gardening, we have the UMAX 2 Utility Golf Car. Please don’t hesitate to Contact Us with any questions you might have. We would like to be of service to you.